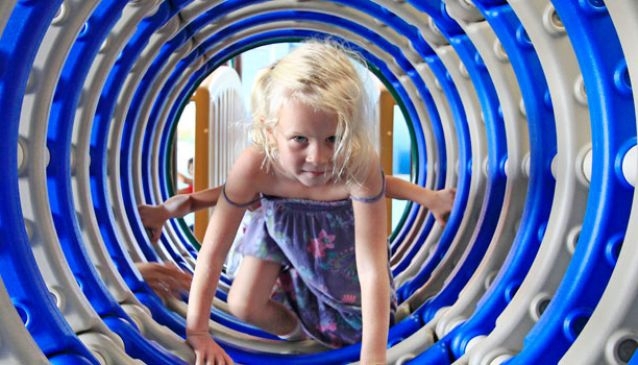 Peek a boo is a children’s playground in Sanur, for families with children under 9 years old. The play park includes dedicated baby and toddler play stations. We also have a Café with AC! positioned so adults can relax and grab a drink and a munch while they watch their children play. It has a delicious assortment of specialty coffee, drinks and snacks for parents and tiny ones (baby chairs are available! ).We have over 1,000sq.m. of indoor and outdoor play area! When you need a playground in Bali this is the place to go. Bali is lacking public parks that are good for kids and families. In Peek A Boo your kids can meet and play in a safe and fun atmosphere. Lots of imaginative play equipment, musical instruments, large climbing frame, ball pool. Equipment all new. The staff are vigilant about keeping things set up in the right spots. At the entrance all the children and parent's temperatures are checked and their hands washed. Children and adults are required to wear socks in the indoor play area. You can bring your own or purchase them at the reception.